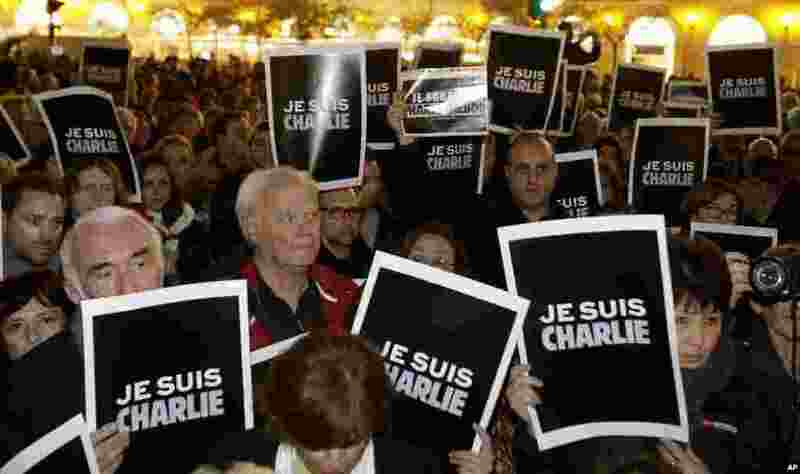 1 People hold posters reading "I am Charlie" as they gather to express solidarity with those killed in an attack at the Paris offices of the weekly paper Charlie Hebdo, in Nice, southeastern France, Jan. 7, 2015. 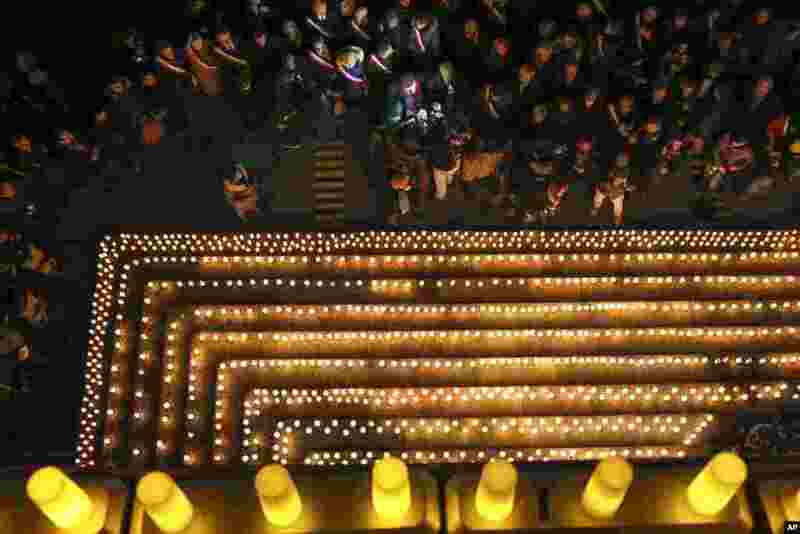 2 People gather near candles lit to commemorate the victims of a deadly attack at the Paris offices of French satirical weekly Charlie Hebdo in Lyon, central France, Jan. 7, 2015. 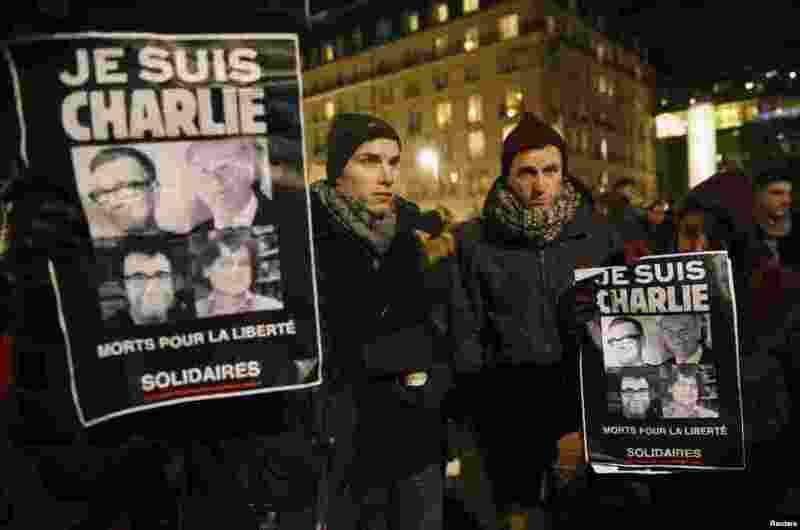 3 People in front of the Brandenburg Gate in Berlin hold placards that read "I am Charlie," to pay tribute to the victims of a massacre that killed more than 12 people in Paris, France, Jan. 7, 2015. 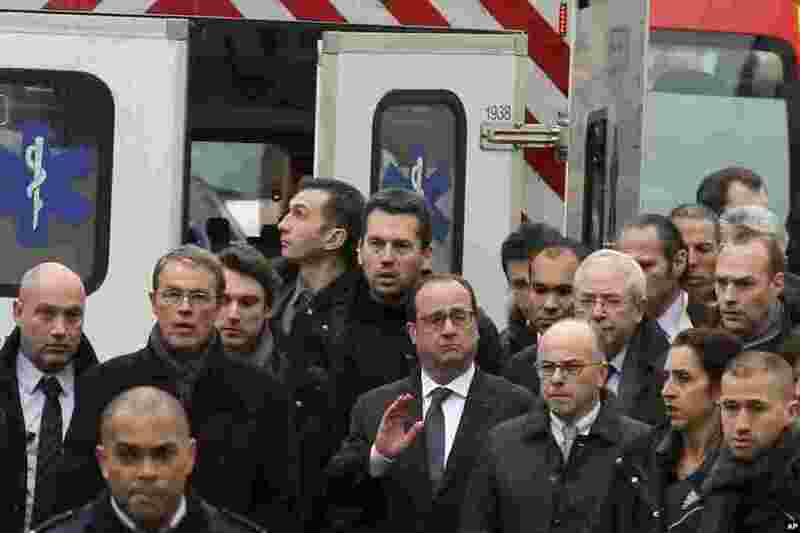 4 French President Francois Hollande, center, flanked with security forces gestures, as he arrives outside the French satirical newspaper Charlie Hebdo's office, in Paris, Jan. 7, 2015.